WEDNESDAY, May 2, 2018 (HealthDay News) -- Parasites that cause malaria in animals -- but not humans -- are commonly found in deer living in North America, new research shows. 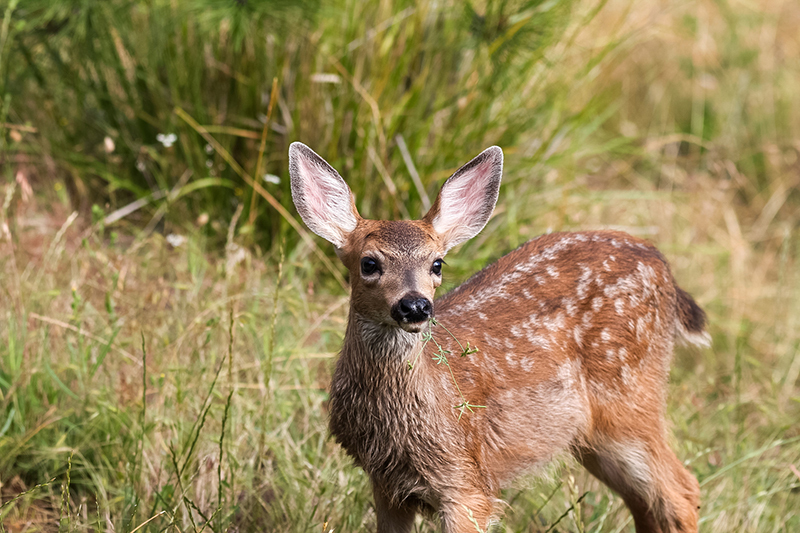 Many animals are able to clear these infections, but researchers found that infected baby deer were less likely to survive their first year of life than other deer. As reported recently in the journal Sphere, blood samples collected from 33 farm-raised fawns in Florida revealed that about 21 percent tested positive for microscopic malaria parasites. It's unclear if the fawns were infected by mosquitoes or if they were infected by their mothers. And, "if you look at the fawns that were infected at the earliest time point, half of those die," study leader Dr. Audrey Odom John said in a journal news release. She's a pediatrician and microbiologist at Washington University in St. Louis. Scientists have identified more than 600 parasites that cause malaria and can be spread by flies that bite rodents, bats, birds, primates and other vertebrates. Luckily, only five of the 600 parasites infect people, the researchers said. One malaria parasite called Plasmodium odocoilei was found in white-tailed deer as far back as 1967. Scientists are now working to try and understand how this parasite evolves within and spreads among these animals, which are prevalent North America. "Deer are everywhere," Odom John said. "I have a malaria parasite in my backyard." The researchers plan to continue their investigation by sequencing the genome of P. odocoilei and exploring the role of the parasite in fawn mortality. Each year, more than 400,000 people worldwide -- most in the developing world -- die from malaria. The vast majority, around 70 percent, are children aged 5 years old or younger, the World Health Organization reports. Children respond very differently than adults to infections, so young people with malaria are at much higher risk of death. "This study opens new opportunities to study the malaria parasite-mammal interface in North America," wrote Susan Perkins in a commentary published with the study. Perkins is a microbiologist at the American Museum of Natural History in New York City.